Passport/Visa Requirements: Passports (valid for at least three months) for citizens of U.S. No visa is required. Languages: Dutch, Frisian. Most Dutch speak English (and are usually fluent). Time Zone: 1 hour ahead of Greenwich Mean Time (+1 GMT). Daylight Saving Time is observed from the end of March to the end of October. 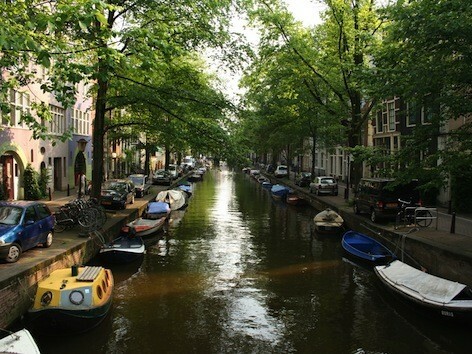 Amsterdam is a rare blend of historic and innovative, multi-cultural and traditional, friendly and pragmatic. With its maze of canals spanned by arched bridges, and narrow lanes lined with 17th-century gabled houses, the city center is outrageously picturesque – but with enough avant-garde shops and stylish restaurants mixed in that you never forget it’s a living, modern city. Cycling past Golden Age buildings and drinking beer or jenever at 300-year-old "brown cafés" are part of everyday life here, and locals are as matter-of-fact about it as they are about most everything else. Amsterdammers are straightforward but sociable and fun-loving, and nearly everyone speaks perfect English (and usually several other languages as well). Add in fantastic museums, world-class music venues, a compact, walkable layout, plus great public transportation, and you have the ideal destination for a long weekend. It’s also easy to combine with a trip to Paris or London, and makes a great stopover on the way to Africa – we always stay a day or two to help our bodies adjust to the time difference. While Amsterdam is often thought of as just a party town, it’s really more about art, history and culture – and 2013 is an especially good year to enjoy it. The Rijksmuseum and Van Gogh Museum will be fully reopening in April after undergoing major renovations. The Stedelijk Museum (Amsterdam’s main contemporary art venue) unveiled its new wing and revamped interior last fall. The Concertgebouw is celebrating its 125th Jubilee this year with a special series of concerts. And this Queen’s Day, April 30 – a huge national holiday in any year – Queen Beatrix is stepping down after 33 years and her son the Crown Prince is being inaugurated. Not to be outdone, the dining and accommodations here have been generating lots of buzz, thanks to a host of innovative new restaurants and designer hotels. Amsterdam is a great place for children, too – most of the museums have special activities or exhibits for young visitors, there are lovely parks everywhere for biking and skating, and the city’s small scale and storybook buildings never fail to charm kids.